Bill Morris first studied the flute with his uncle, Jack Morris. On entering the Royal Manchester College of Music he became a pupil of Joe Lingard, later taking lessons from Caratgé in Paris. Morris was also a saxophonist and played with Geraldo’s Band in Blackpool now and again before taking up serious flute studies at the RNCM. 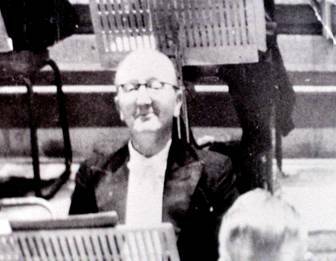 He was appointed principal piccolo with the Hallé Orchestra in 1950 and remained until his death in 1962. Running concurrently with his Hallé post were teaching at the Northern School of Music and playing chamber concerts with the Manchester Wind Ensemble.